After I got off the cruise ship from my recent vacation and stepped back into my real world, a certain familiar mundane mood came over me. In the past when I would feel slightly depressed, I’d picked up a self-help book and attempt to “fix” myself. I guess this time I got a case of cruise lag because I started reading “The Happiness Advantage” by Shawn Achor. I still openly lament the fact that I can’t safely walk alone, cook on a stove and I miss I the independence I use to take for granted. Okay, that’s enough of that; I think you get my point. To be honest, I believe that if all these things were somehow given back to me, I would automatically be happy. It’s similar to the way one may believe that happiness will come when they lose weight or get that big job or promotion. But the thing is when we do get it we are happy for awhile then the bar gets raised and suddenly there’s something else a little farther off into the distance we need to be happy again. It’s like a never-ending journey to “Happy Land”. This book has presented to me an entirely new concept. I’m only on page 80 of 210 but this is what I got so far. It basically shows us how to leverage the power of positive thinking in our lives. It says that we must be happy first where we are and then you can be more motivated and productive. 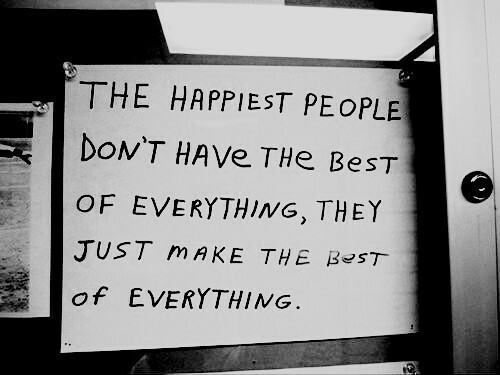 In other words, happiness precedes important outcomes and indicators of thriving. The most interesting thing to me is that our external circumstances predict only 10 percent of our happiness. It’s teaching me to constantly scan my life looking for positive possibilities dormant in every situation. The book’s author goes on to explain different exercises and principles that are very realistic. No, I’m not talking about a bunch of positive fluffy mumbo jumbo. That’s not really my thing. The lady who recommended the book to me is also in a wheelchair with multiple sclerosis and she said it has helped her cope. I took her recommendation to heart because a few years ago I think I may have overestimated the negative effects that living in a wheelchair would leave on my life. And so far this book has opened my eyes to new possibilities. I have new ways of looking at the same things. I’ve decided to adopt an optimistic explanatory style to interpret the world I live in. I’m seeking out the positive. Something I don’t usually revert to. My husband once said that if I won the lottery, I’d be worried about paying the taxes! The idea that things are never as bad as we originally think is not a new concept. I just usually blow things way out of proportion. Achor says it’s about using that downhill momentum to push us in the opposite direction. Now that seems tricky to me but I’m willing to give it a try. The question remains, can a change in my mindset really change the objective world around me? 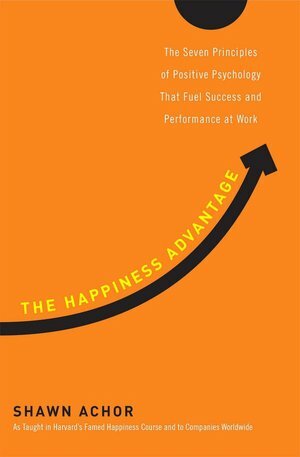 “The Happiness Advantage: The Seven Principles of Positive Psychology That Fuel Success and Performance at Work” by Shawn Achor. I haven’t read the book, but the name of my blog is “Climbing Downhill” and I’m trying to make the most of what I have. Kerri, That sounds good to me. Thanks for stopping by. I post on Tuesdays. I will come on over and check out your site. Amazing, why hasn’t the entire world been made aware of the proposed fact that our thoughts can change reality? Does he, or anyone for that matter really believe this? And better yet, has it been proven and demonstrated to be true? I’m hoping that I’ve misunderstood the premise but am sceptical none the less. Tim, Yes there have been many studies in the realm of positive psychology. This post and the comments within have come at a great time for me! I was diagnosed August of last year with the Relapsing Remitting varietal. Within that year, I’ve experienced a steady decline from walking on my own to needing a cane full-time and a chair/scooter for long distances. I know, poor me. It wouldn’t be a big deal except that I’m only 31 and took pride in being strong and self-sufficient. My outlook isn’t optimistic by nature, but I’ve become an angry and frustrated person in that year. Jenn, First thanks for stopping by. My story is written for folks like you. By the way I’m 37 diagnosed at 25. I would love to see you back around here. It sounds like we have so much in common. Jenn, That’s music to my ears! there’s the Japanese proverb: Fall down seven times, stand up eight. Leslie, I needed that one. To Nicole: I was brought to your blog partly out of curiosity, partly out of compassion and sincere interest, but I come away with appreciation for your drive to keep falling forward, keep evolving and maturing and passing your learned wisdoms along the way on to the rest of us. Thank you! To Leslie: Those proverbs, wise sayings, wisdoms are timeless and irredessant (sp?). The beauty within shine multi-faceted to reflect the many-fold lessons that teach us, calm us, remind us to stay truly focused on what matters in this life journey. Thanks for the reminder! Sara, I’m so glad you stopped by and hope you return on Tuesdays to get the latest new normal perspective! Leslie, Thanks so much for reading. While I wouldn’t wish this on my worse enemy it’s nice to find one more person that can at least understand. Sounds like an interesting book yet I have too many that I haven’t read yet to add it to my stack! However, the concept of looking at things differently and eventually they start to look different is a creed I live by. While I may not always avoid getting in “ruts” in my thinking, it is the first tool that helps me get my thinking, and my gratitude, back on track. Hope you enjoy the book and thank you for your work. Tim, Yes, its a good creed to live by. For years, I have prayed with my daughter every night before bed, and we end it with something from the day for which we are thankful. I’m agnostic, but I always wanted my kids to grow up thinking about how much they have for which to be thankful. Ending the day thinking about some thing positive has always helped me keep moving forward, and I hope it helps them too. well lived, I think it will. The longer I live, the more I realize the impact of attitude on life. Attitude is more important than the facts. It is more important than the past, than education, than money, than circumstances, than failures, than successes, than what people say or do. It is more important than appearance, giftedness or skill. It will make or break a company…a church…a home. The remarkable thing is that we have a choice everyday regarding the attitude we will embrace for that day, We can not change our past…we can not change the fact that people act in a certain way. We can not change the inevitable. The only thing we can do is play the one string we have, and that is our attitude. I am convinced that life is 10% what happens to me and 90% how I react to it. And so it is with you and me…we are in charge of our attitudes. Author unknown. I read this and know it is the truth. It has gotten me thru cancer and now MS. This paragraph is priceless to me. I really look forward to receiving my emails from you on Tuesdays! They usually make me see things in a totally different light. I’ll definitely have to get a copy of “The Happiness Advantage”! Nicole I really appreciate having you and your outlook in my life. Thanks!!!!! Renecia, Thanks for reading again.I’m about to read it again too! Congratulations on encountering the book you needed at the time you needed it! I can relate to your journey to understand the effect of our thinking/attitude on our experience — it is so true! Being in a wheelchair is a tremendous journey — not one I ever expected/planned on/would have chosen, but I too am learning how to learn from the journey rather than resent it. Although I do wish it were different, it does not determine my happiness — I get to decide! Good luck and thank you for the recommendation! A book that has been very helpful to me is You are not Your Illness — Seven Principles for Meeting the Challenge by Linda Noble Topf. She also was diagnosed with MS, and the book has been a wonderful guide to to help me navigate life with a chronic health condition. Check it out! Linda, Thanks for the recommendation. You read a plethora of books. Hey Nicole — I think you’ll find that by altering the way you look at things, your world, will indeed, change. The power of positive thinking has a long list of clinical studies behind it. It really works. Another thing that works: humor. Find something funny in everything and laughter will deliver you from the worst of things. On a very bad day, I’ll watch funny movies and stand up comedians. There are actually hormones released when you laugh that help ease pain. 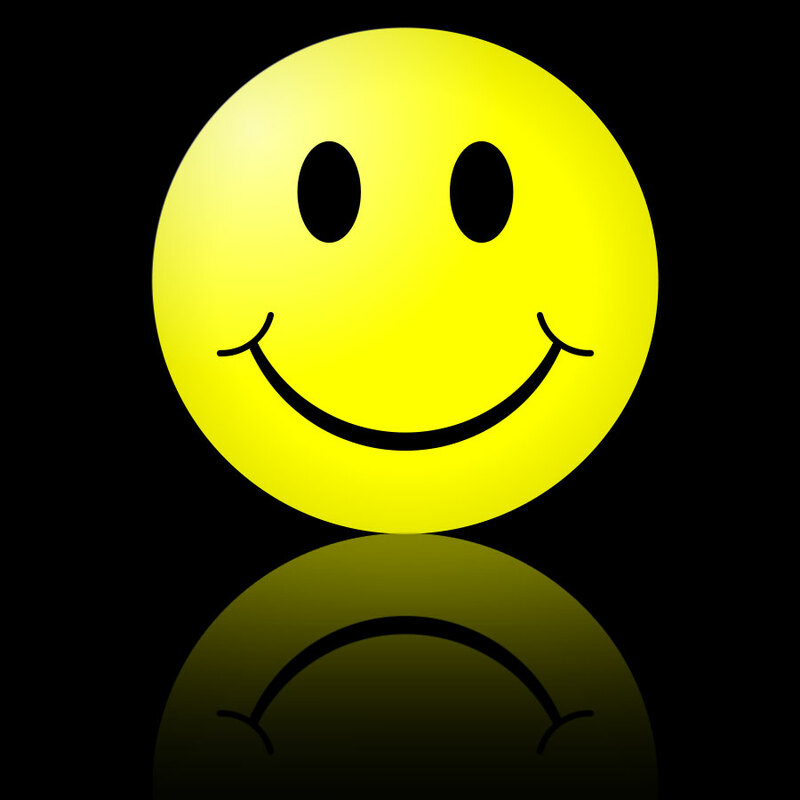 Just the act of smiling sets of a physiological reaction that releases endorphins – “feel good” hormones. When you feel your worst and are really hurting – smile. No kidding – it will help. You’ll feel like an idiot – but it will help. Another thing: my mother used to say – “the anticipation is worse than the realization.” I’ve found that to be true many times. One last thing – always remember “it seems to help the stress, just to say F-U-M-S”!!! Kathy, I know that’s why I attend Laughter Yoga! Look it up. Kim, I like that. I’ll have to remember constantly. You have to think different to be different. Kim, I’d like to be the first to agree. But there are all these studies that the author speaks of that says it can. After a second read I question wether the author of your book actually believes that a change in mindset, perspective, or just how we look at things differently can actually alter that which we are considering. In other words, that it changes reality? Scientifically, philosophically, and logically, I think he, or anyone else could study long and hard enough to prove such a possibility. But hey if they have, they would be the first to do so and I say put them on the research team for a cure of MS! Thanks. It’s hard to believe but yes that is actually what the author suggests.